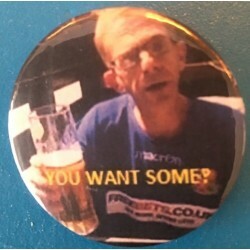 Lapels - Toby's unrivalled selection of badges from Wealdstone, English/Scots/Non-League/Foreign Leagues, etc. LAPELS There are 7 products. English Non-League clubs other than National League South and Ryman League which have their own sections. Badges from the Championship and Divisions 1 & 2. 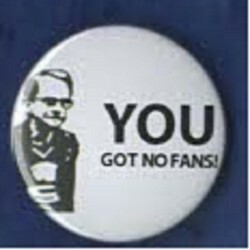 Premiership badges not available under threat from Trading Standards! 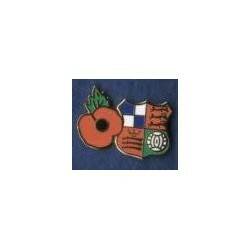 Dual feature badge featuring red poppy with leaf on left, and Wealdstone FC crest on right. 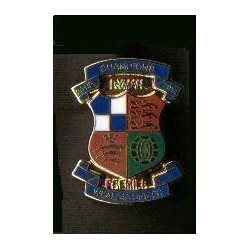 Shield-shaped badge with lower scroll - enamel badge new for 2016/2017, now re-issued in chrome. Shield-shaped badge with central scroll - gilt enamel badge new for 2018/2019.